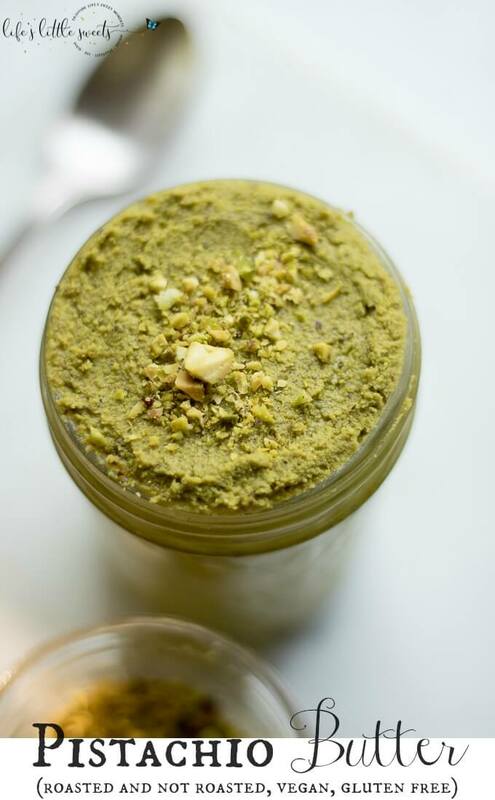 And that’s kinda how this Pistachio Butter goes, I found after making it that pistachios are so creamy as they are that they don’t need much more to make a wonderful pistachio butter spread. 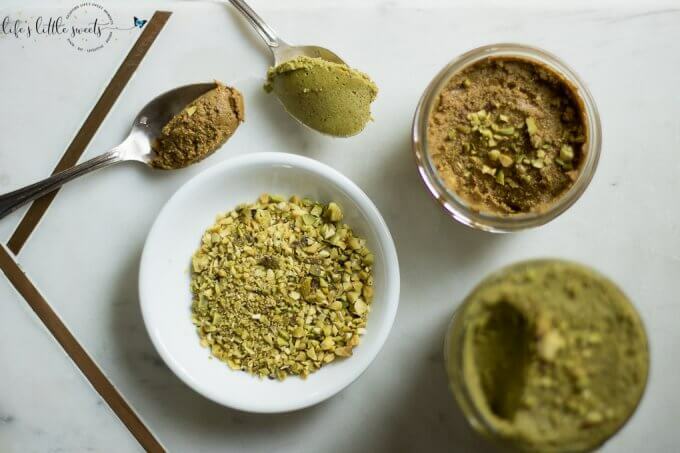 You absolutely will need a food processor for this recipe, it’s a must! 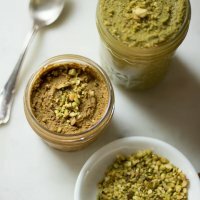 I do suggest trying a technique to make the Pistachio Butter deeper in flavor: roasting. 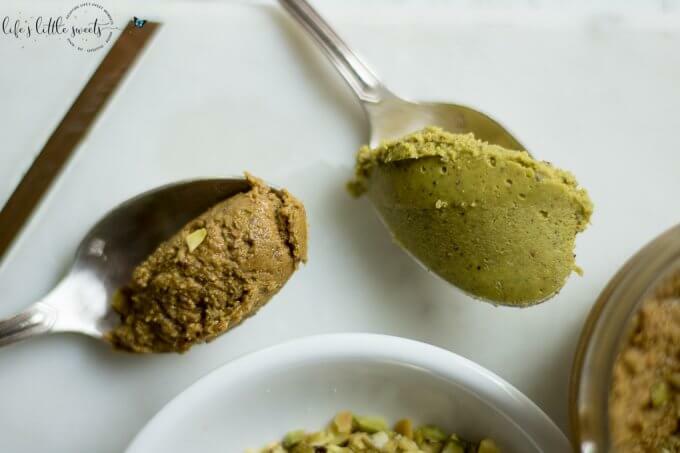 It all depends on your taste and if you want more of a fresh, brighter pistachio butter (not roasted) or a toasty, full-flavored pistachio butter (roasted). To roast or not to roast? I say, do both! 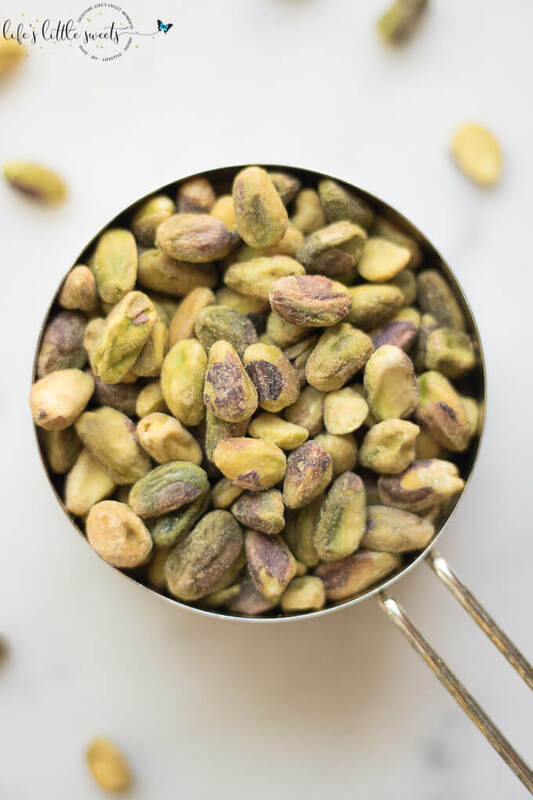 pistachios (preferably not already roasted, unsalted), the higher quality, fresh pistachios you can get, the better – I found them in the produce section of the grocery store but you could also buy in bulk from a natural foods store or online. 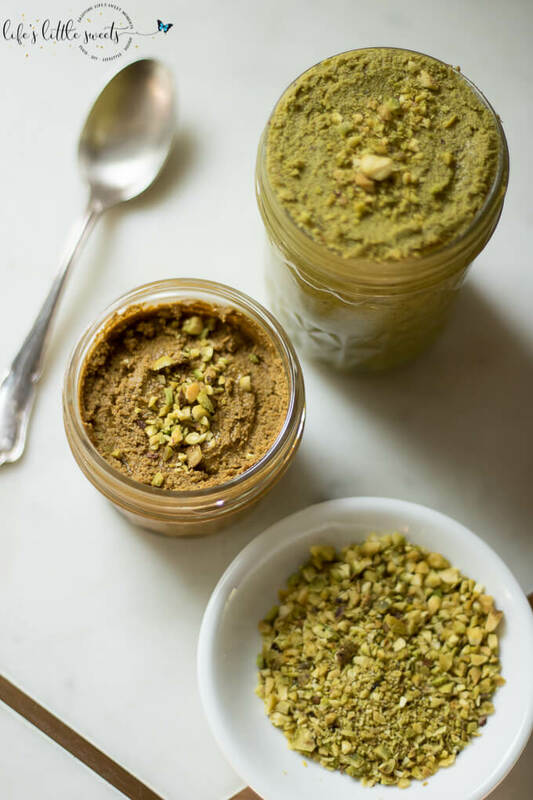 I did not add Canola or any other oil to the Pistachio Butter in the photos or when I make it usually but if you want it to be more spreadable you certainly can add it in. I find it to be pretty creamy as is. 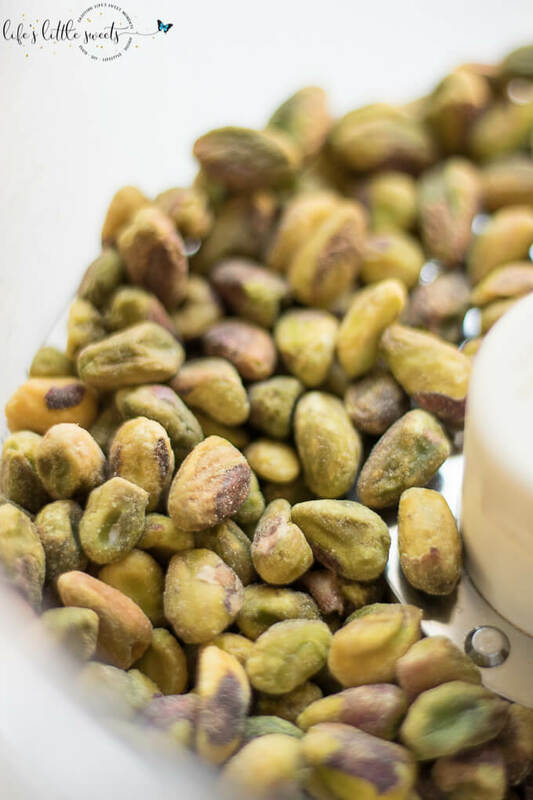 I love pistachios because they are so healthy to have as a snack. They are high in protein, they have a lot of antioxidants and fiber. They also have potassium, vitamin B6 and may also lower cholesterol and blood pressure. I call for 1 cup in this recipe but you can definitely double it if you want more. 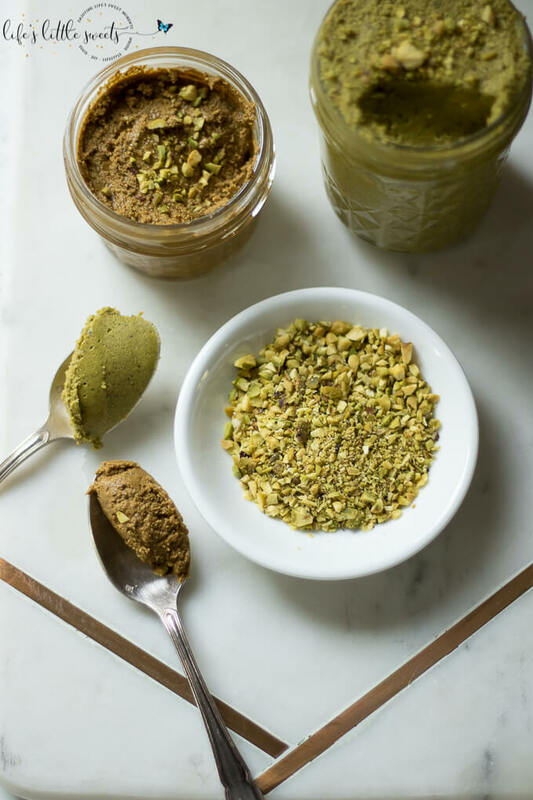 When I make it, I will make both roasted and un-roasted and keep some chopped pistachios to sprinkle on top. 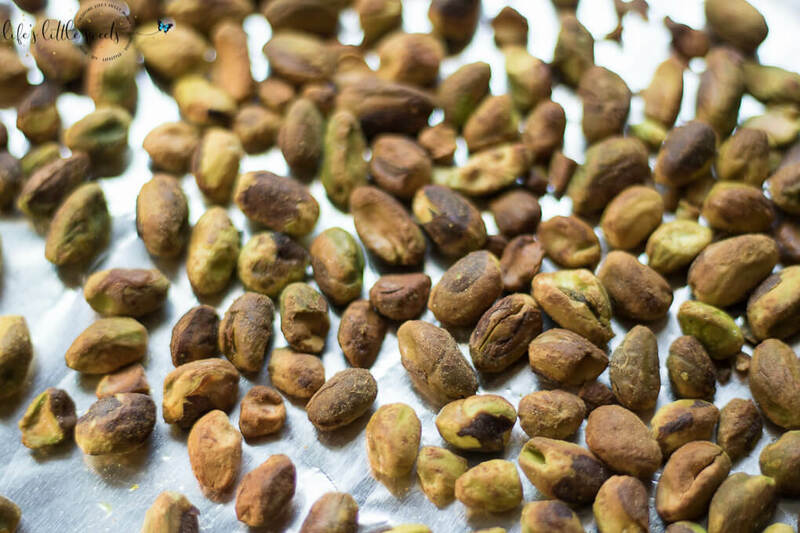 if roasting the pistachios, make sure not to over roast/toast them, so that they do not dry out. 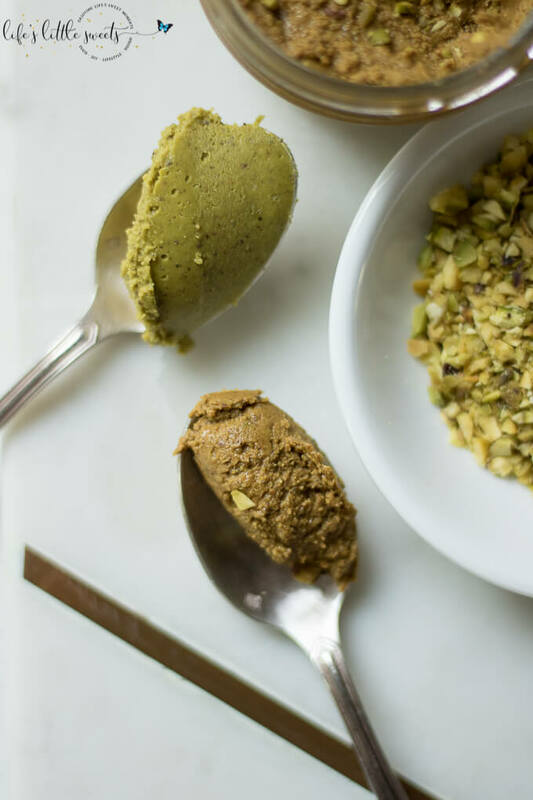 Let me know if you try this Pistachio Butter in the comments below! 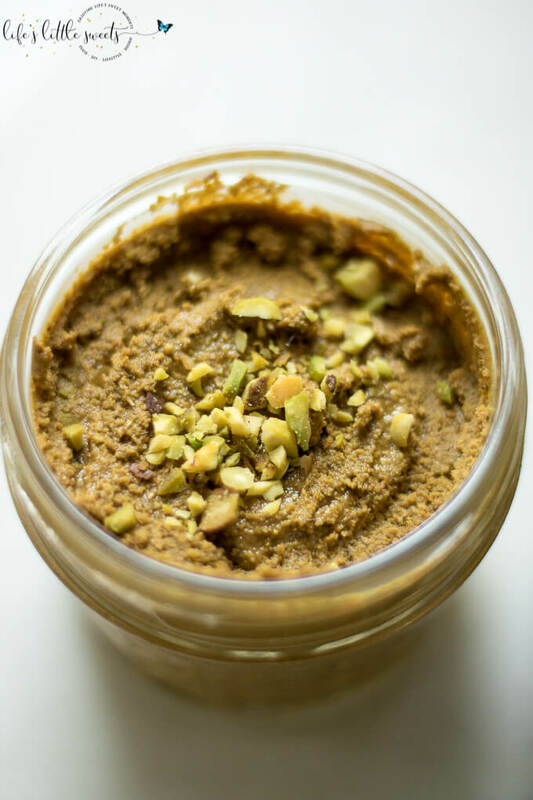 Pistachio Butter (roasted and not roasted, vegan, gluten free) – this pistachio butter is perfect for spreading on toast, crackers and goes well with your favorite jam or jelly. Enjoy it un-roasted or roasted for a deeper, toasty flavor. 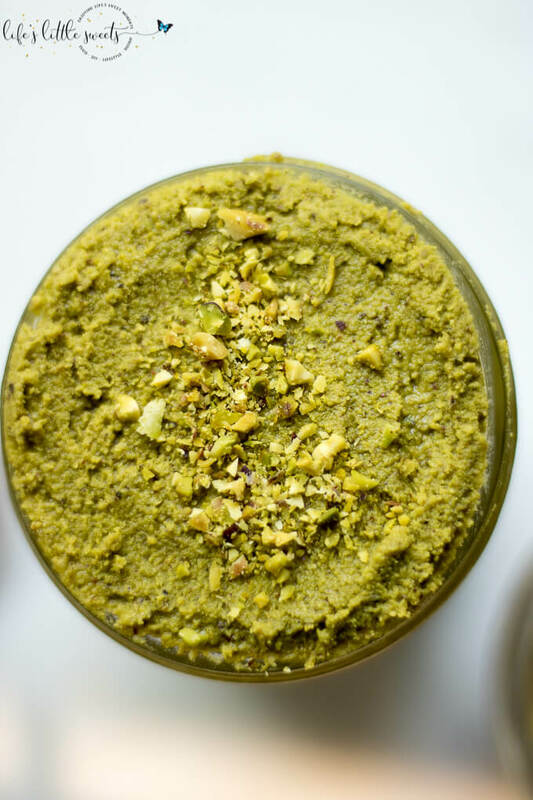 Place 1 cup pistachios in a food processor. Process for 1-2 minutes until crumbly. 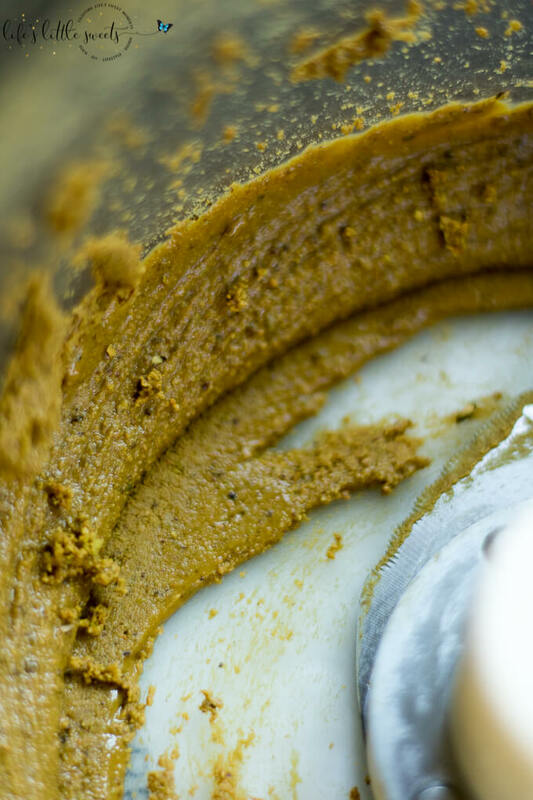 Process for the remaining 8-9 minutes (a total time of 10 minutes or until it gets creamy). Stop half way through, to scrap down the sides, as necessary. 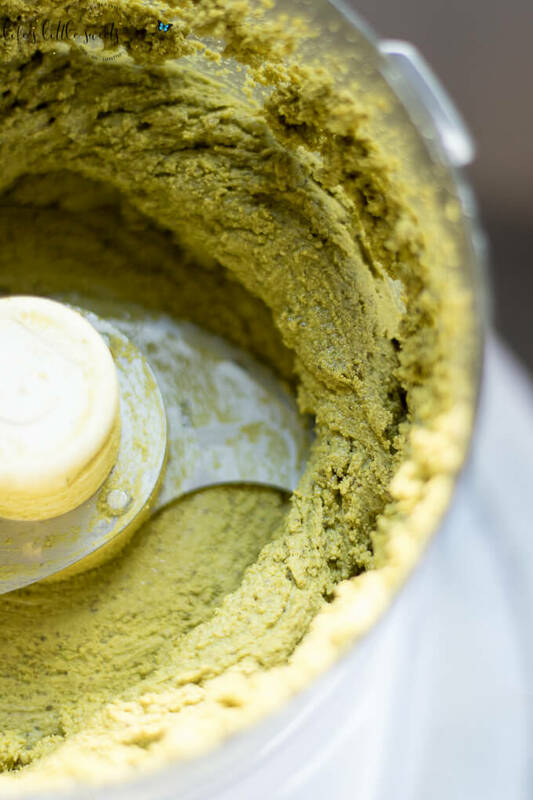 If you are adding in other optional ingredients, add them in when it becomes creamy. 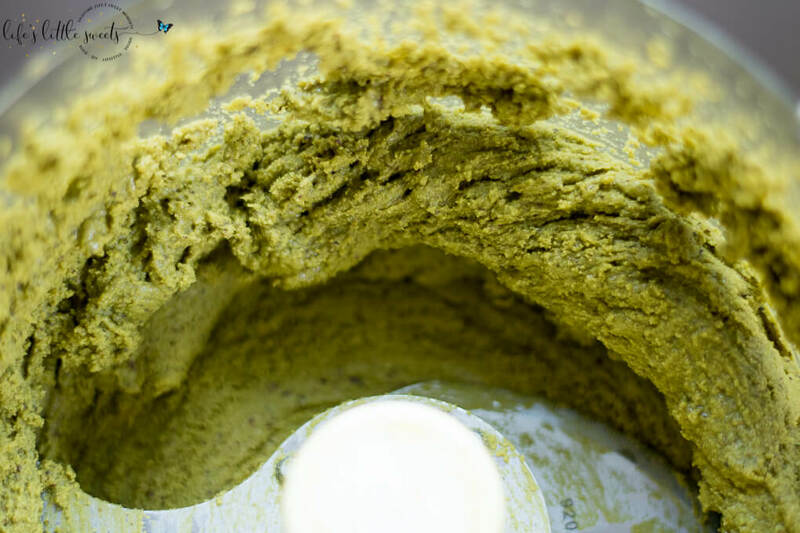 If you want it to be very spreadable then you can add in Canola oil, starting with 1 teaspoon at a time until you get the desired consistency. 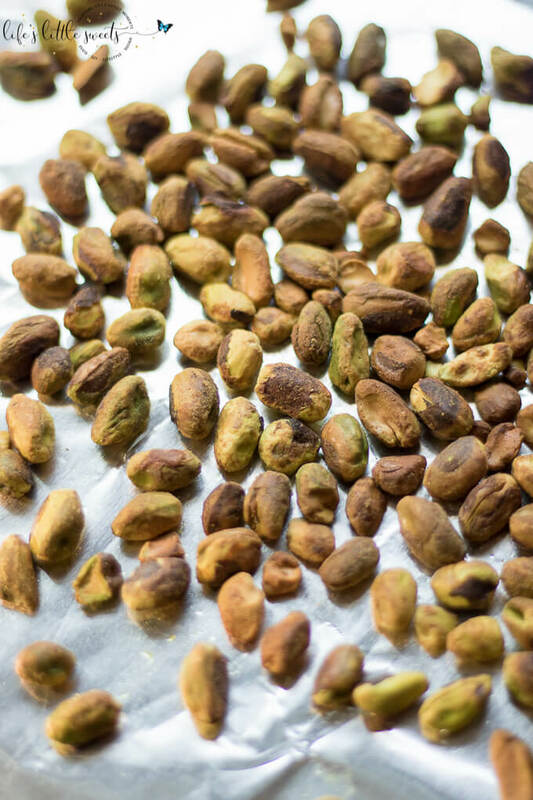 Spread 1 cup of pistachios on a foil-lined baking sheet. Toast in a preheated oven for 3-5 minutes. Alternately, you can toast in your toaster oven. Keep a close eye on them as they toast/roast. Do not allow the nuts to burn or blacken. When they are done, place on a trivet to cool. You can process them when they are still warm. 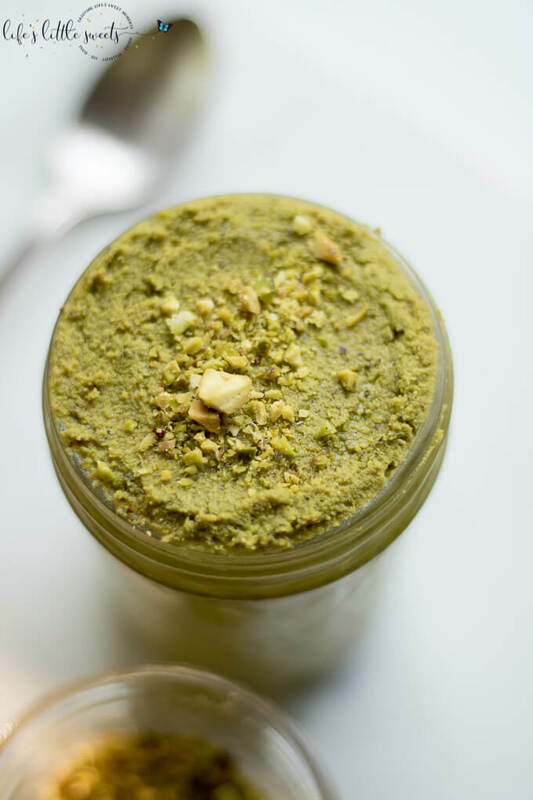 Place the pistachios in a food processor. 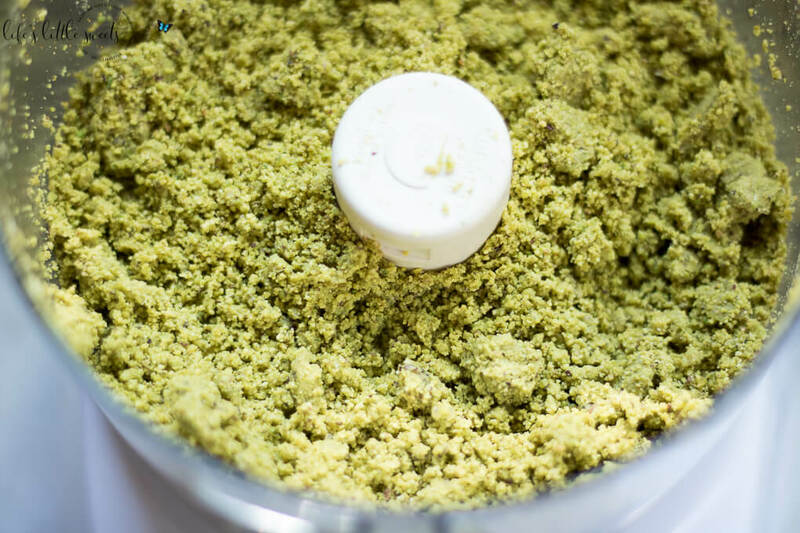 Process for 1-2 minutes until crumbly.